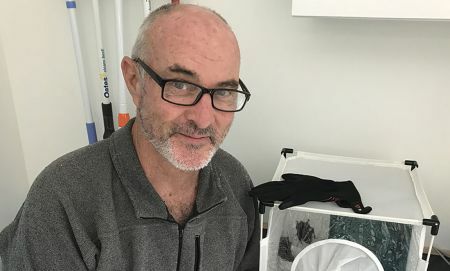 So we turned to biologist, botanist and volunteer at Kanyana Wildlife Centre, Tony Hodge, who became a bat carer four years ago. 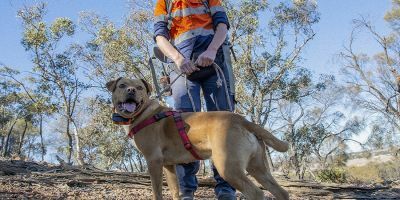 After attending a talk and having a lyssavirus/rabies jab, he joined the small and highly-specialised group of volunteers who help look after injured or homeless bats in the Perth area. Tony says it’s difficult to get a lot of experience, as Perth only gets 6 – 7 bats per season, compared to a few hundred over east. Kanyana bat carer Tony Hodge next to the bat house during rehab. It turns out there’s a range of reasons why injured or homeless bats are found. “And then you get juveniles that leave the roost early and can’t get back,” he says. Others are found in ‘torpor’ which is a micro-hibernation state, where body metabolism reduces in times of cold temperatures, or low food supply. 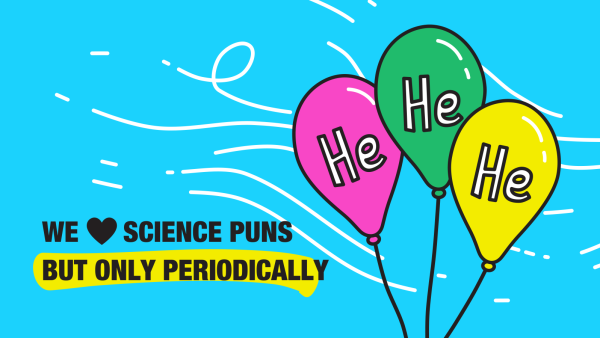 It generally lasts 2 – 3 days. “The first time I saw a bat in torpor I thought it was dead, so they really do shut down and just hang there,” Tony says. 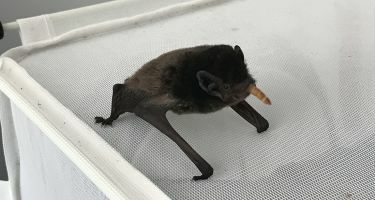 During rehab, the Gould’s wattle bat can eat around 20 meal worms per day. 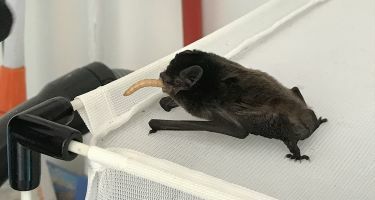 When a bat is first found, it is held for three days to check it is fully hydrated, eating OK and everything’s functional. Currently, Tony is caring for three juvenile Gould’s wattled bats that he is housing over winter. 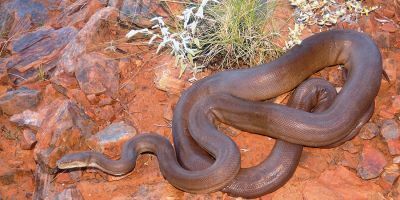 “With the stress of release, low insects and cold, these guys probably wouldn’t survive if they were released in Autumn,” Tony says. Baby bats around a month old weigh a mere 2.3g and still have their eyes closed, while adults are 15 – 20g. And they can reach around 20 years in age. When the bats are first in his care, Tony feeds them mealworms between dusk and bedtime. He raises the mealworms on site. He also has a flight aviary out the back with hollows drilled into logs, and that’s where they learn to fly. Drilled holes in branches make roosting sites in the aviary. Bats crawl in and manage to turn around and face outwards. Tony says they sometimes also care for southern forest bats, lesser long-eared bats and occasionally white-striped free tail bats. 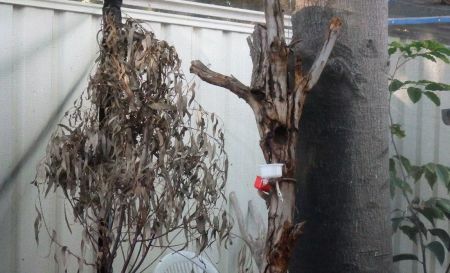 Tony says a valuable source of information for him is a bat rehabilitation forum run by a number of people over east. 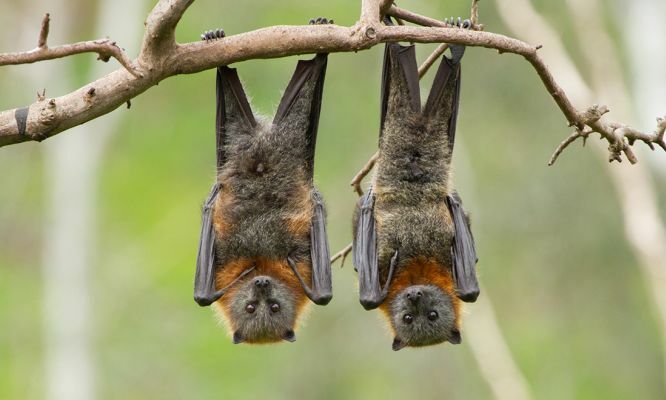 Although there is not currently a demand for new bat carers, Tony suggests that those interested in this type of work could start by volunteering in the field with a wildlife organisation, doing survey work or offering their time to places like Kanyana. More than a decade’s work by two WA flora experts has culminated in a map highlighting the southwest’s incredible diversity of plant life.